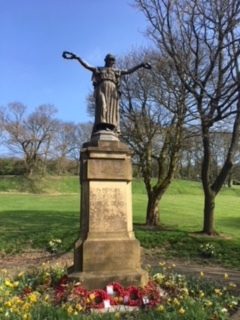 Figure of Victory with head bowed and arms outstretched, holiding wreath in each hand. On square plinth and two-stepped base. On east face the date 1918 within a wreath.